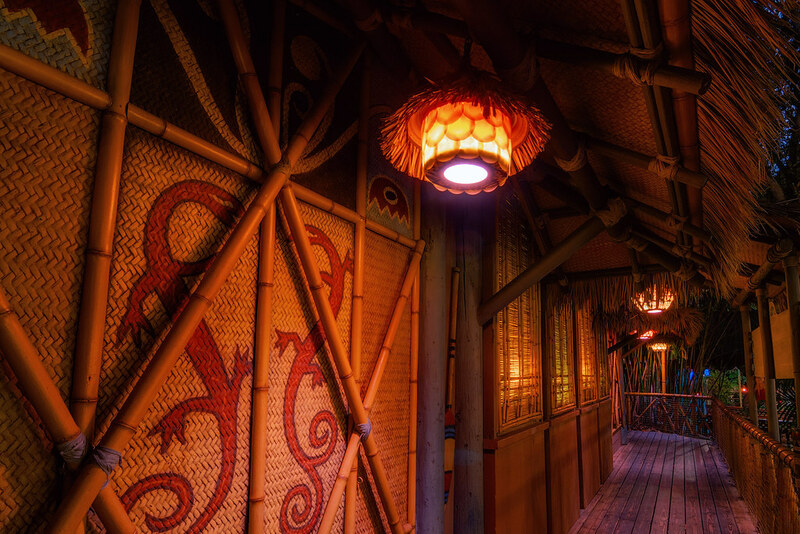 I love this exit area from the Tiki Room. It’s so beautiful and thematic, you wouldn’t even immediately peg it as being a Disneyland attraction. It could just as easily be in the heart of Polynesia. This entry was posted in Adventureland and tagged deck, enchanted, hawaii, polynesia, tiki. Bookmark the permalink.